Affiliate is a business model that store owners can sell their product indirect through affiliates. Magento 2 Affiliate extension is kind of a marketing tool for your online store to expand your sale market and brings opportunities to increase your profit as well. The extension allows store owners to build a huge community to promote the products and gain orders. What are the out-standing points of this Magneto 2 affiliate program? Check it out! - Share to social networks like Facebook, Twitter, Tumblr and other over 200 buttons. - Send an invitation email to friends and family. - Use banners to promote the products. The feature is also a good solution for offline marketing to the affiliates. The affiliate referral link is encrypted to ensure privacy as well. Magento 2 affiliate program is a great solution for your marketing strategy. This extension allows the store owners to create tiers and apply different commission level to each one. 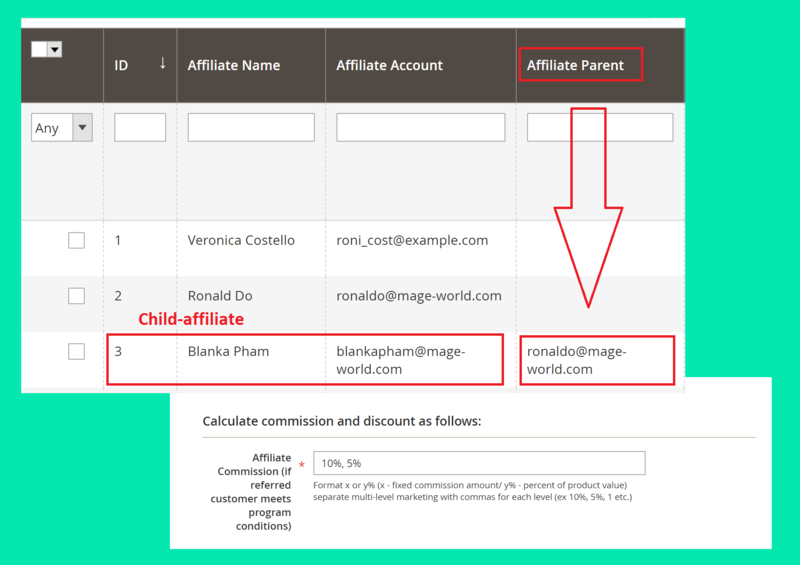 For instance, when customers buy a product on a child-affiliate link, the child-affiliate get 5% of the order as commission portion, and the affiliate tier 1 still get a commission for the order. The wider affiliate network is, the larger profit affiliate gets. This affiliate plugin helps to build your own community and will drive your sales dramatically. 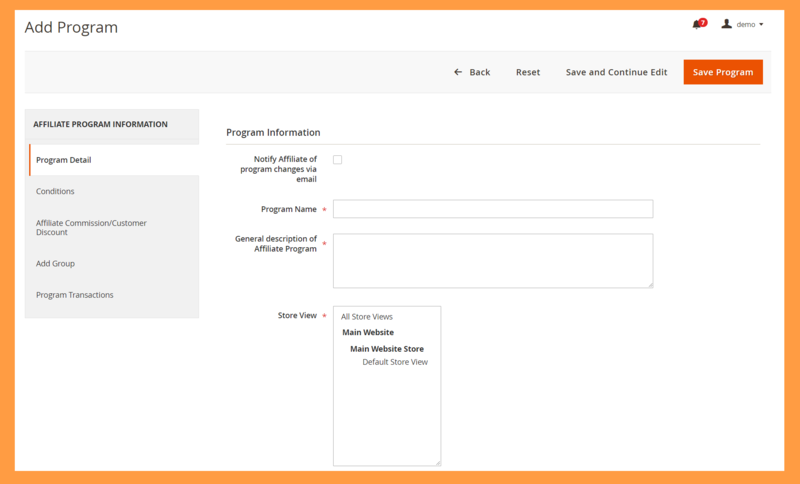 With the Magento 2 Affiliate extension from MageWorld, the store owners can create programs as much as expected without constraint. In every single program, the admins are able to manage conditions based on catalog rules and shopping cart rules. Each program will be nominated to particular Affiliate groups, and the admins can configure program's priority, it means you can set which one to be prioritized, if the affiliates meet the first program, the other won't be activated. This Magento 2 affiliate plugin brings an opportunity to the affiliates to gain commissions in a convenient way. When the customers visit affiliates link, the cookies will be saved on their site for a while, the number of days can be configured optionally. Even in the next time they purchase for products that not via the referral link, affiliates still get commissions from the order. The feature not only benefits the store but also raises the affiliate's income. 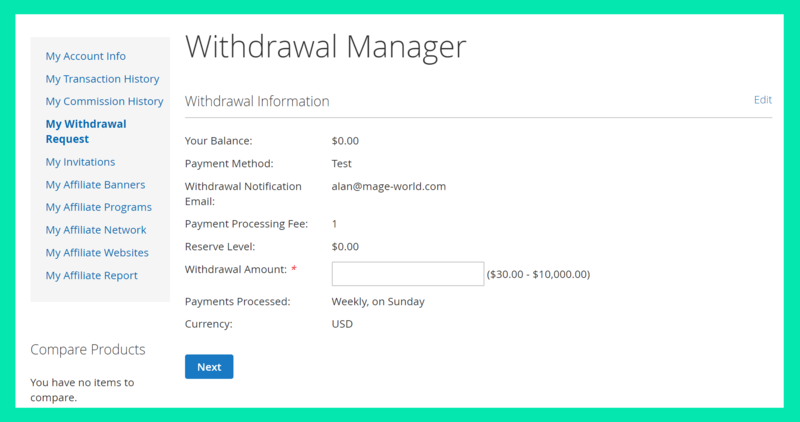 They can manage to auto withdraw commissions when the balance reaches the condition or withdraw in a manual way. The program priority can be based on maximum commission or maximum discount as well. Our Magento 2 affiliate program shows reports to affiliates so they can follow all of their commission. 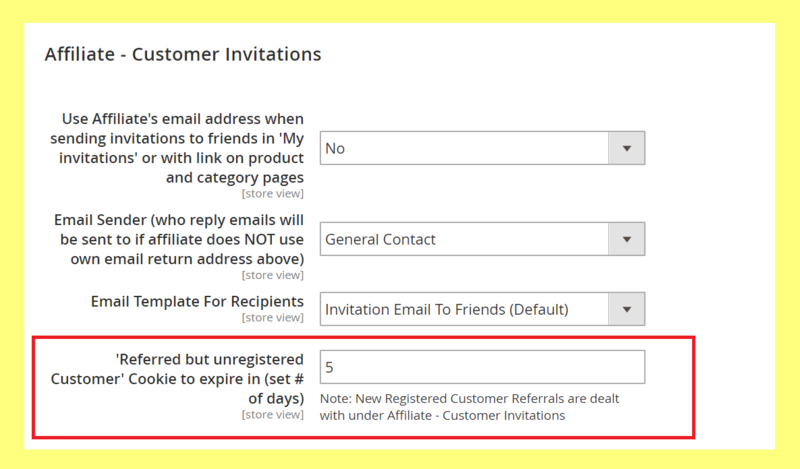 Additionally, on the report page, there are also statistics about clicks, subscriptions, registered or purchased for affiliate invitations. 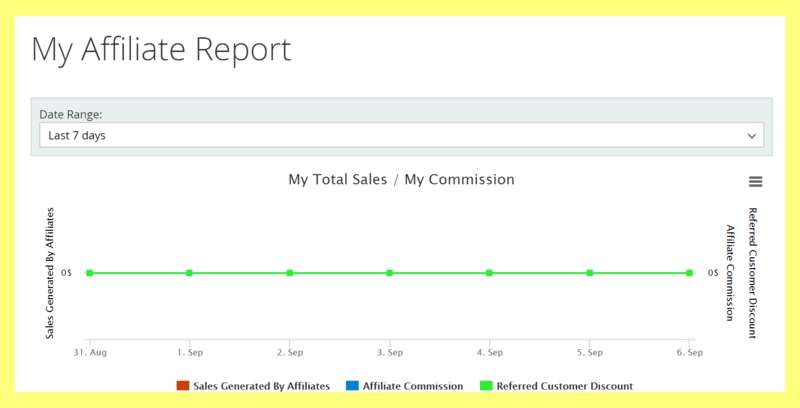 The affiliate can easily see the whole sale activities of them through affiliate report. Normally, commissions are added to affiliate account balance when the order is processing. What if the customer decides to cancel the order or they want to return the product and refund? What would happen to the transferred commissions? Don't worry! The Magento 2 Affiliate extension will subtract these commissions automatically when the order is abandoned for any reason. 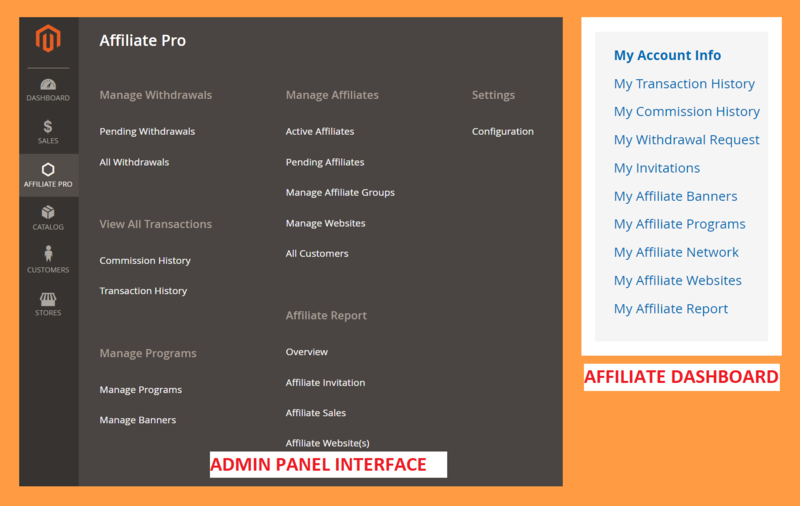 The clear interface in both affiliate page and admin panel makes it easy to use for store owners and affiliates. The store owners take full control of configuration such as withdrawals, transactions, programs, affiliates, report and other settings. Each section is divided separately so you will not meet any problem or waste too much time to learn to use the program. Same to the admin panel, on the affiliate management page, affiliates can view and control their account through the fields listed on the page. 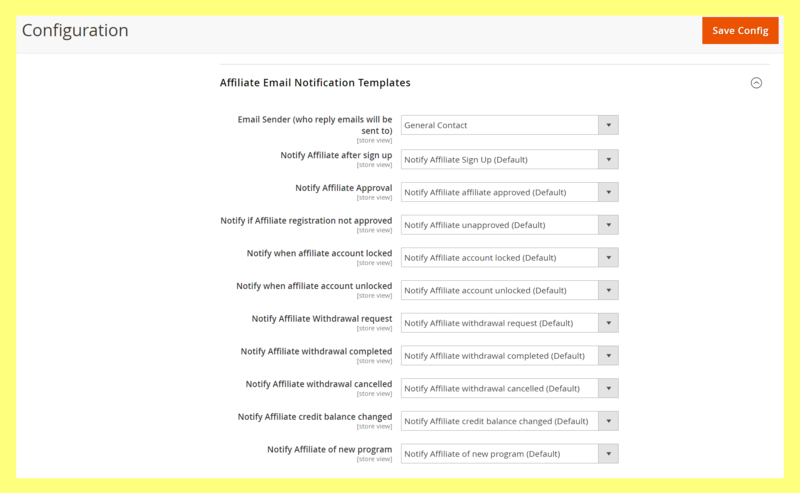 With this feature, affiliates will not miss any notifications. Each affiliate has own setting section to manage all affiliate activities, on this page affiliate can conduct: commission and transaction history, withdrawals, invite to gain commissions, affiliate program, etc. 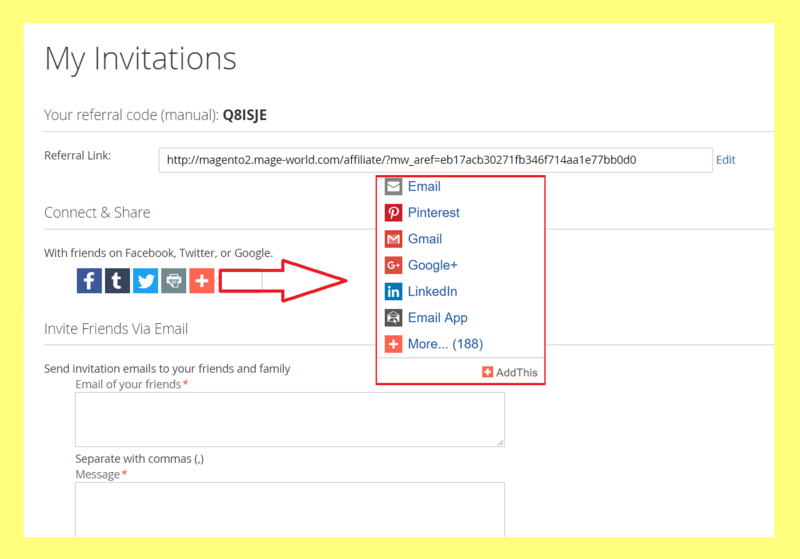 Able to connect and share the referral link to many popular social networks: Facebook, Twitter, Tumblr, etc. High recommend for other customers. Support quickly! Q. Do I have to pay for any additional fee after purchasing? A. There is no extra fee for this extension only if you require us for your own customization. Q. Which edition does this extension compatible with? A. Magento 2 affiliate extension can work well with other extensions for Magento 2 such as Free Gift for Magento 2 extension, One Step Checkout extension of Reward Points for Magento 2. Please take a look at these products here. A. The Magento 2 affiliate program allows affiliates to make money by inviting new customers to your site and purchase for the product when an order is successful, the affiliate will receive an amount of the order as a commission. This is a great way to expand your sale market and attract potential customers. + Change configuration "Show on Front end" to Select "Yes/No"